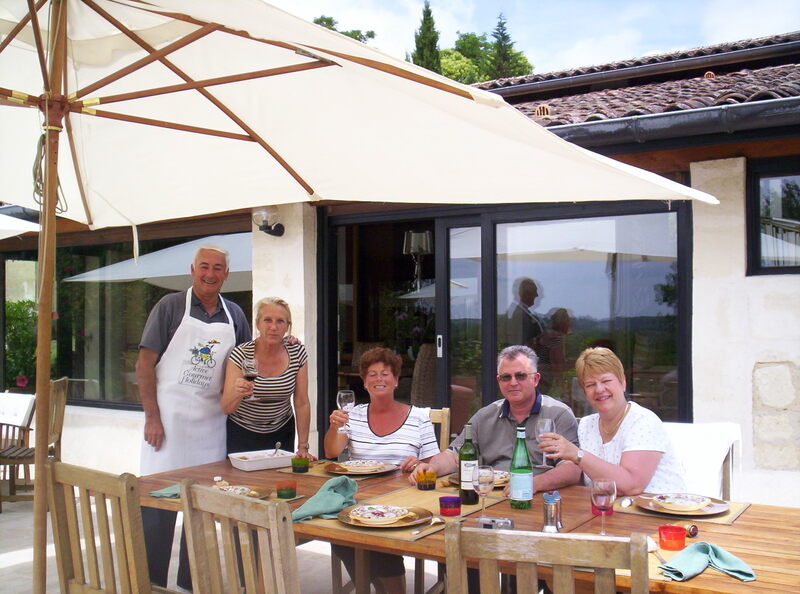 What better way to meet the French than in the kitchen….their kitchens ! 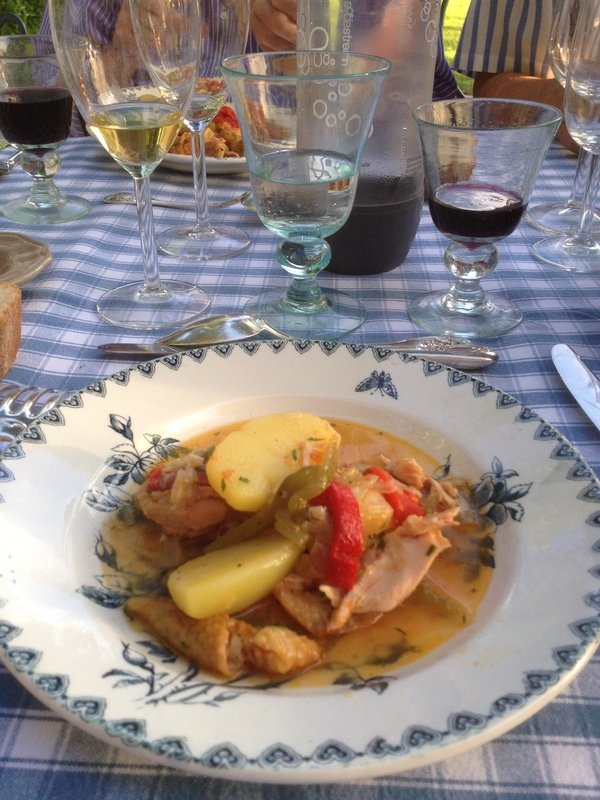 Prepare a meal together, learn a new recipe to take home for your friends… a vacation to learn to speak French with your palate ! 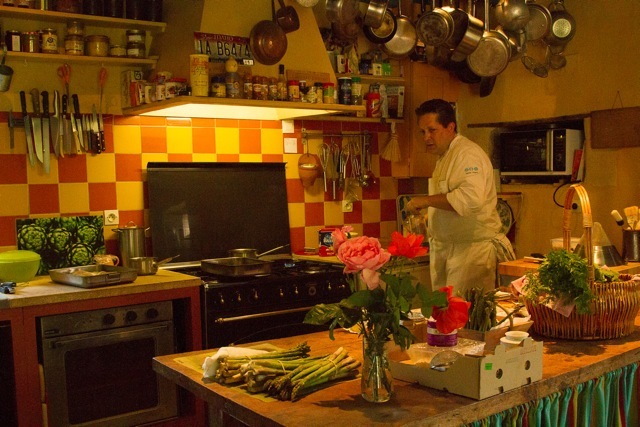 Our cooks are all passionate about the French word “nouriture” or food. Food that nourishes the body while it also nourishes friendships…both old and new. For the classes we have both professional chefs and experienced home cooks who all give their classes in private kitchens. They teach you their special techniques in english with ingrediants that you can find in your own markets. 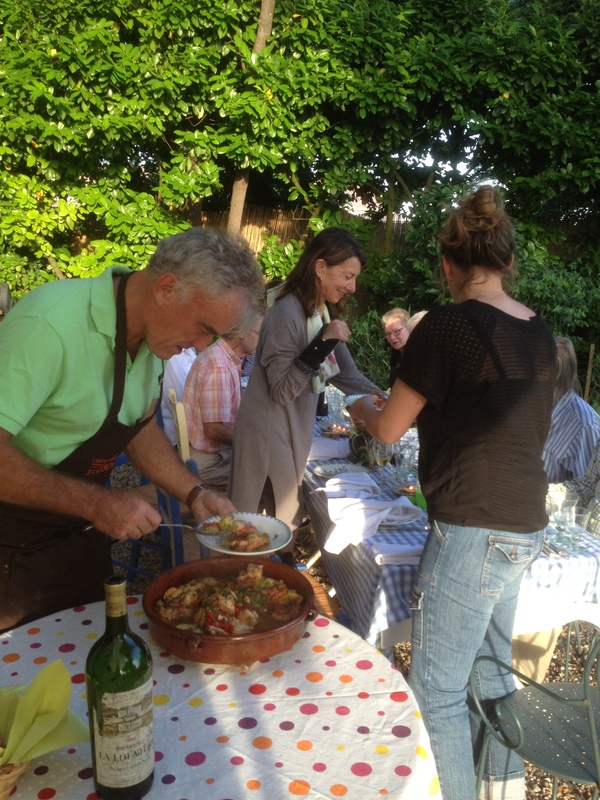 The class prepares a three course meal…with a often a few other recipes as well. Then everyone sits around the table to enjoy their morning’s work with cheese and local wines. Stephane usually takes here students to the wednesday morning market and you choose what you’d like to cook. 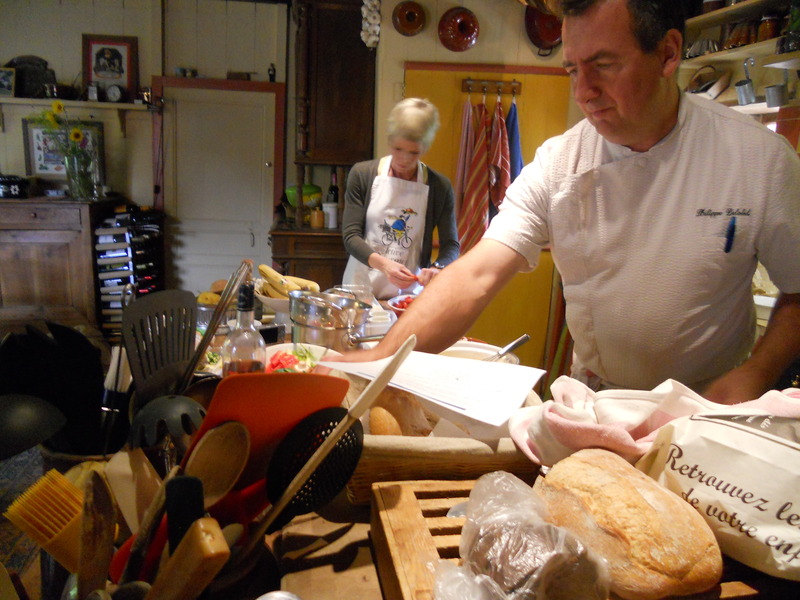 The other cooks have a list to choose from…or you can suggest what you’d like to learn. We also have a market “chasse au trésor” where you go to market on your own with a list of products to find from the local producers who will be expecting you with their “just picked ” vegetables and fruits…and home made cheeses. Classes are organised for 2 to 8 guests. The price is between 85€ and 163€ depending on the chef and the number of students with special prices for family groups. In addition to my team of great chefs we sometimes have surprise guest chefs as well. 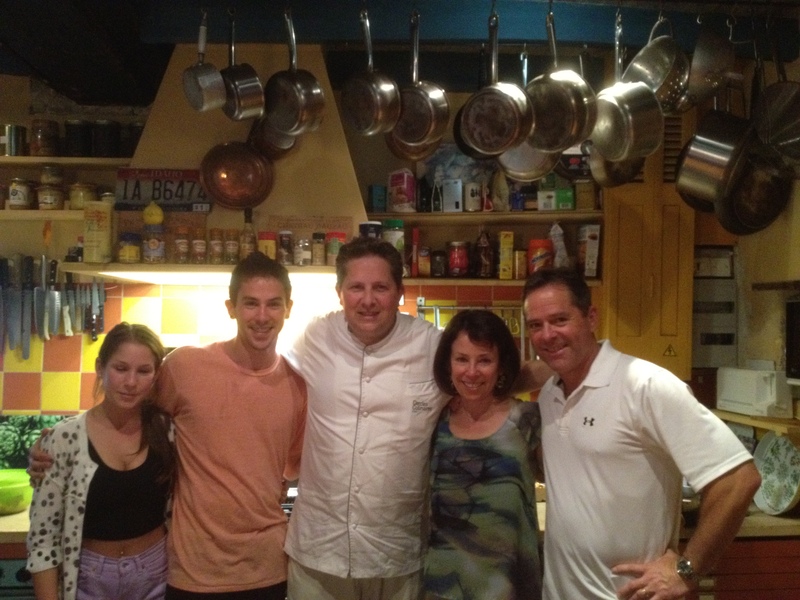 Our family will never forget the wonderful experience of cooking, eating, and drinking together. Thank you again. William, Chee, and Steve Griffin. possible? How much for my husband and myself?